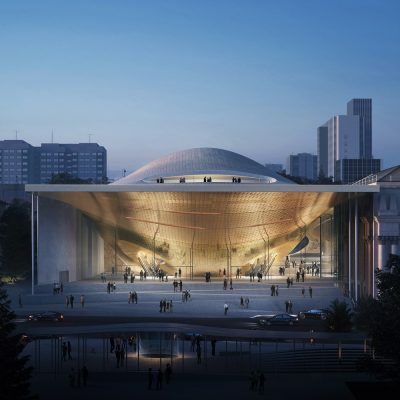 Will the Concert Hall Start a Revolution? News that a concert hall to be built in Russia’s fourth largest city will be designed by Zaha Hadid Architects prompted thoughts about building types. In his remarkable book on that subject Pevsner asserted the value of studying different buildings, consequent considerations of style and styles, speculations about materials and the promise of a rewarding increase in our awareness of social histories. In his ‘A History of Building Types’ Pevsner went on to identify seventeen different categories of building ranging from national monuments to factories, shops, theatres, banks and libraries and traced out fascinating histories while documenting significant international examples of each type. He also recalled how researching that book had been a ‘lonely pursuit’. The scrutiny of building types seems again to have become a ‘lonely pursuit’. For example look at the bank. Not so long ago it offered gold domed neo-classical piles and carefully carved stones located on numerous prominent city streets. Exuding security and confidence, while promising protection, it prompted Sullivan’s splendid brick boxes in small towns across the mid-west before transforming into corporate halls eased elegantly by Bunshaft and others into equally elegant corporate towers of office space that were to be replaced by veneered cash dispensers and holes in walls. These vestiges have subsequently been superceded by hand held devices that capture details of your account on tiny screens which can, in turn, be inspected in doorways or checked in pyjamas. In little over than a century the bank has been robbed of architecture while architects, architecture and folk in general are robbed of banks. 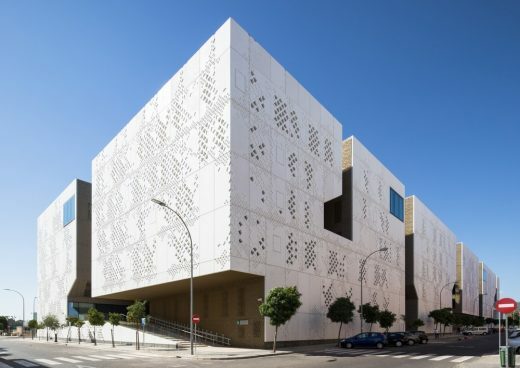 And while the demise of the public library can be attributed to austerity, misdirected political will or a lack of creativity, it too is suddenly contested territory and a rapidly vanishing building type in our supposedly civilized worlds. Simultaneously the anonymity of big boxes and seemingly endless reflections from equally endless glassy walls combine to reduce those buildings that remain into featureless landscapes of generic enclosed space. As Pevsner’s list – city halls, post offices, banks, shops and libraries – is increasingly edited and buildings are shuttered by hand held devices and digital platforms, civic life, as we know it, is slipping away. However the demise of civitas is occasionally halted and that new concert hall planned for the Ural Philharmonic Orchestra in Yekaterinburg offers hope and is to be celebrated. While there may be hints of grand foyers they appear not to overshadow closed halls as with Garnier’s Paris Opera. 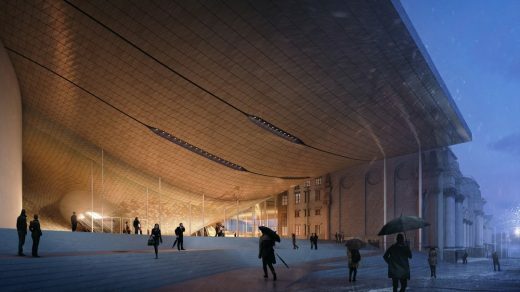 Instead plans for this new 1600 seat concert hall spread out the audience so all are clearly on display while musicians play against a vast backdrop of the city. Together with a 400 seat chamber music hall this new building will hopefully help to bring back a civic life at this particular meeting place of east and west – although the few brolly wielding pedestrians shown in the architects’ perspective appear to be hurrying home across an alarmingly empty yet architecturally charged square and perhaps hardly suggests a new civic landmark bringing out the hordes, packing the streets and initiating a revolution?